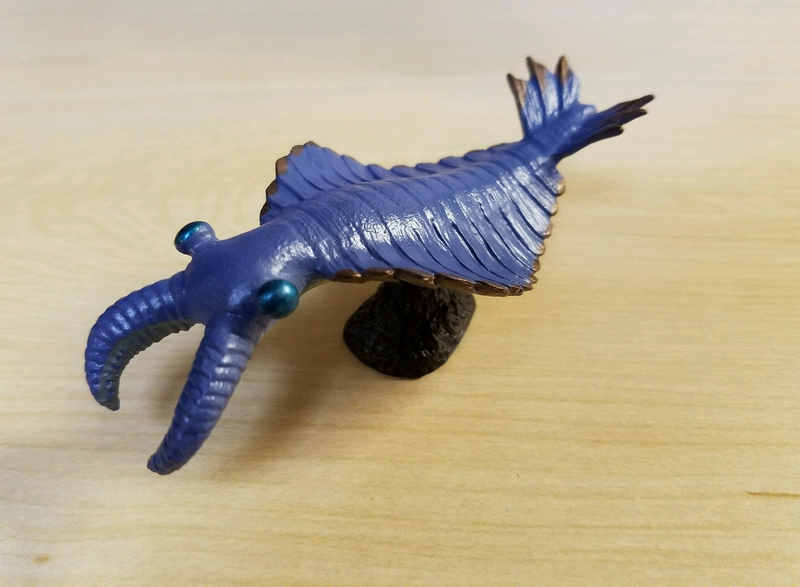 Review of all eight figures of the Cambrian Creature Mini Model, Burgess Shale Series by Kinto-Favorite (2016). 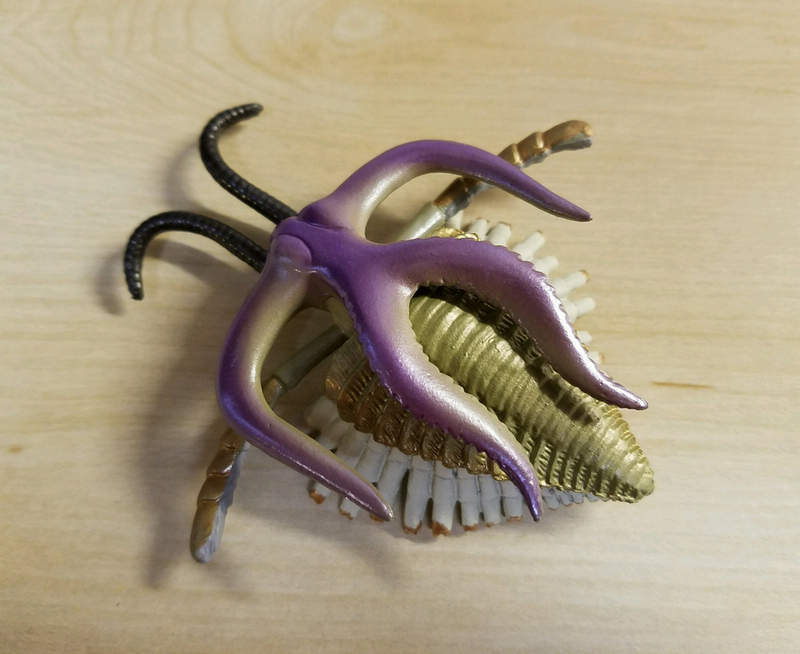 A set of 8 species, reminiscent of the ROM Creatures of the Burgess Shale series. 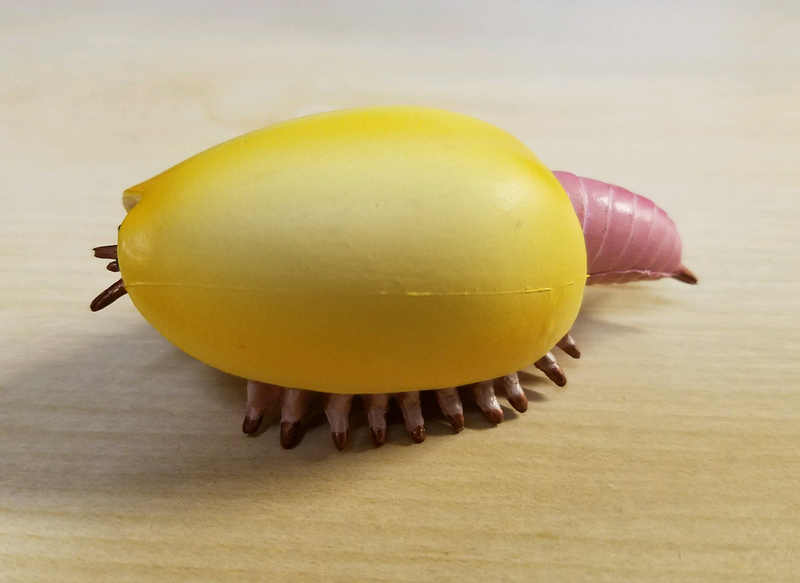 They are 'Mini' models but larger than gashapon figures, averaging between 50 and 95 mm in length. All come in one piece; a few have bases they are not permanently attached to. They all come with a nice card that can open and serve as a small diorama backdrop. They all also come in a sturdy resealable ziploc bag. They look better to me than in publicity shots. 1. Opabinia regalis This species has received a fair amount of attention. I have seven other figures, by Groovy Tube Books, Kaiyodo, Kinto-Favorite, Paleocasts, ROM, and Shapeways. 2. 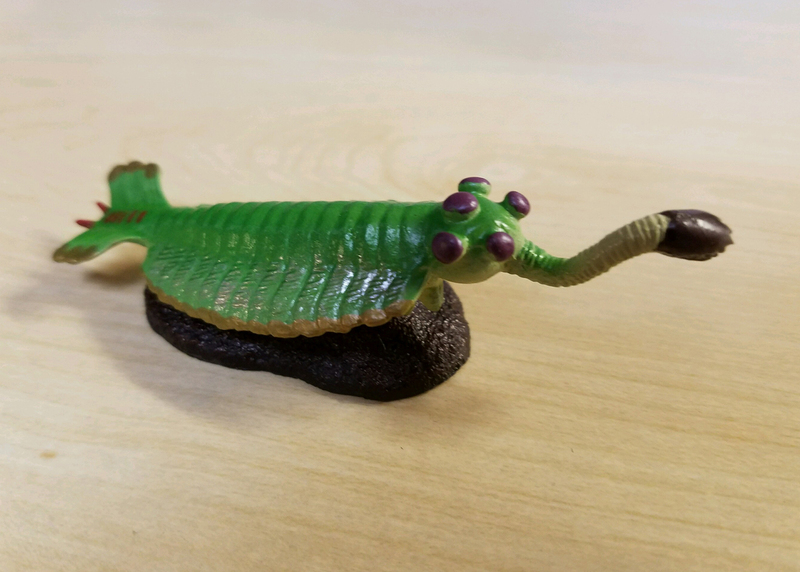 Anomalocaris canadensis. Another one that has received a lot of attention. There is also a yellow release in this set. I have seven other figures of this species too, by Cadbury-Yowies, Kaiyodo, Kinto-Favorite, Paleocasts, and Safari LTD.
3. 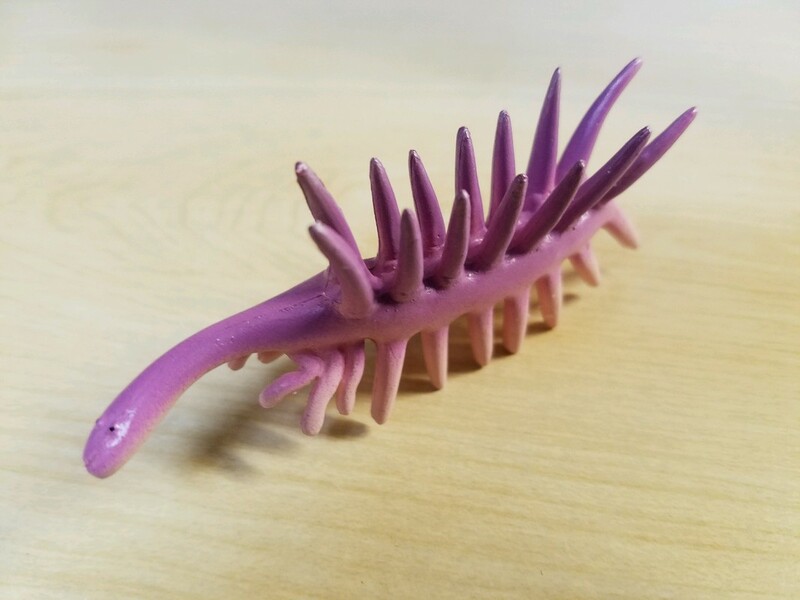 Hallucigenia sparsa. This one has only been made a couple times to my knowledge; my other is by Kaiyodo. 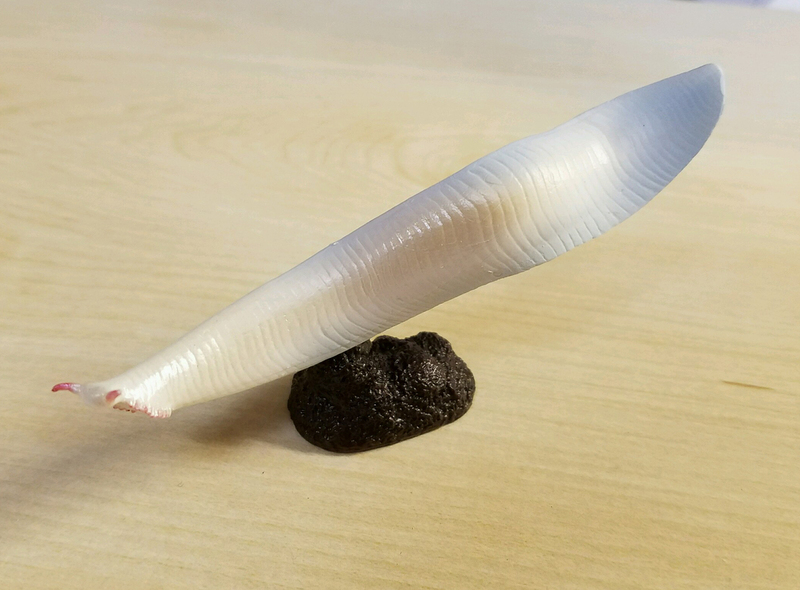 This figure shows the current reconstruction of this species; upside down and backwards from the Kaiyodo figure :). 5. arthropod, Marrella splendens. A unique figure to my knowledge and a very interesting sculpt! Great armature. 6. The pride of the set to me, the prehistoric crustacean (maybe), Canadaspis perfecta. Prehistoric crustaceans are very rare as a group! The last two are not in my taxonomic group but showing for completion. They are available for trade bait, by the way! 7. The primitive chordate Pikaia. 8. Everyone's favorite dust mop, Wiwaxia. Great review, and very nice set! I've never heard of figures of most of these creatures, so it's very nice to see them all together. I really hope Favorite keeps putting out sets like this. This is maybe the coolest thing they've ever done. I want these 8 figures, are lovely and rare. I have been trying to talk myself into buying this set; it's pricey but pre-Triassic animals are just so freaky and fascinating. Thanks for showing it in real life! It remains on my wish list. And thanks for mentioning where else some of these creatures may be found, I was only aware of the Australian Yowies set with some. 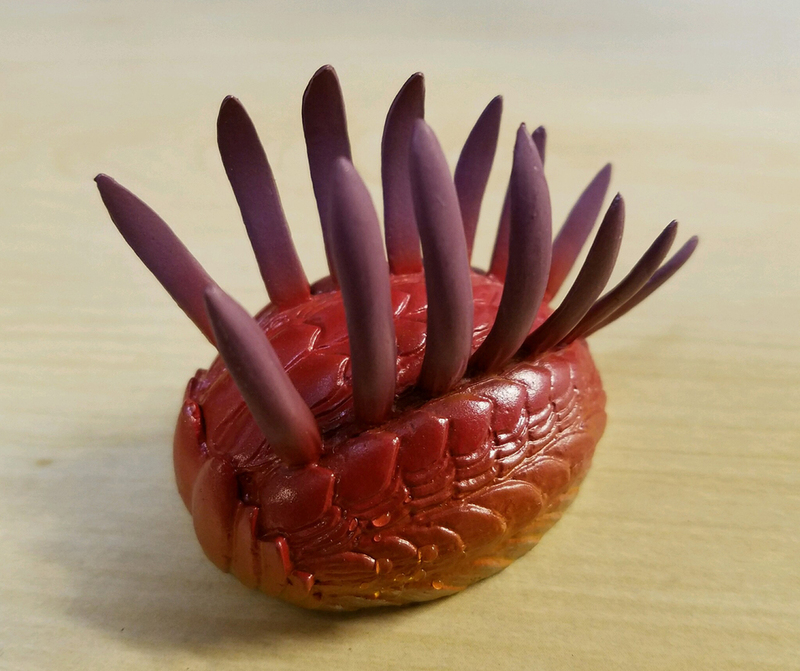 I have the Safari toob, gashapon Hallucigenia and Yowies(?) 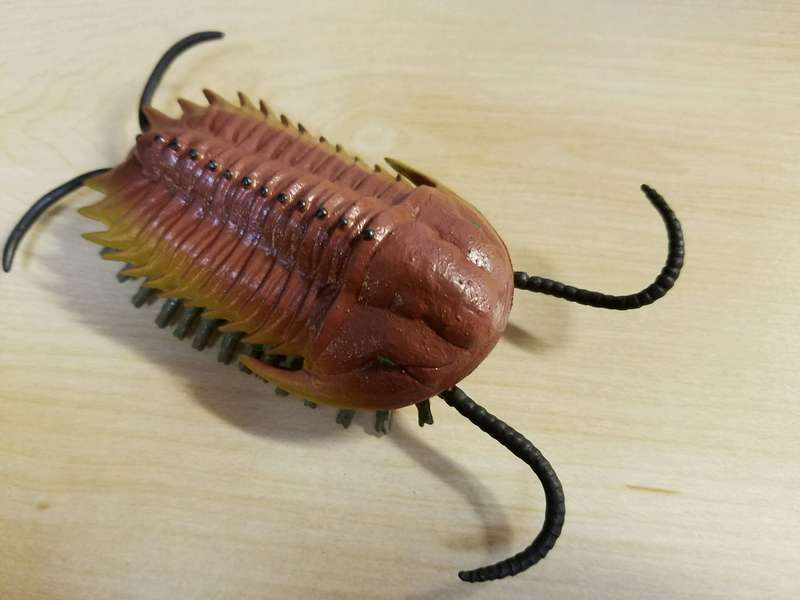 trilobite, and some Pokemon figures that looked like they could possibly be Cambrian animals lol.